Lesson 13 in the Primary 4 Manual is about The People of King Limhi and the People of Alma. The purpose of the lesson is to teach the kids that humility and faith in Jesus Christ can give us strength to face adversity. 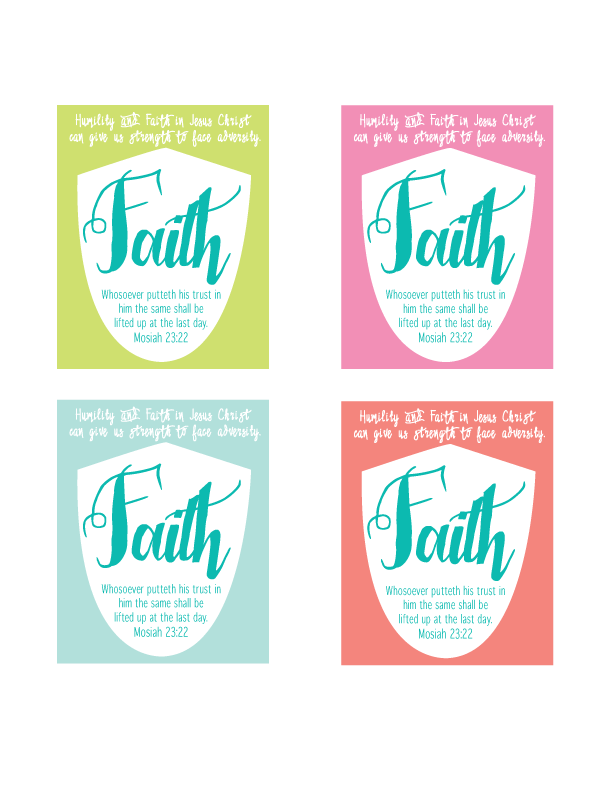 With this purpose in mind I created this "shield of faith" handout. 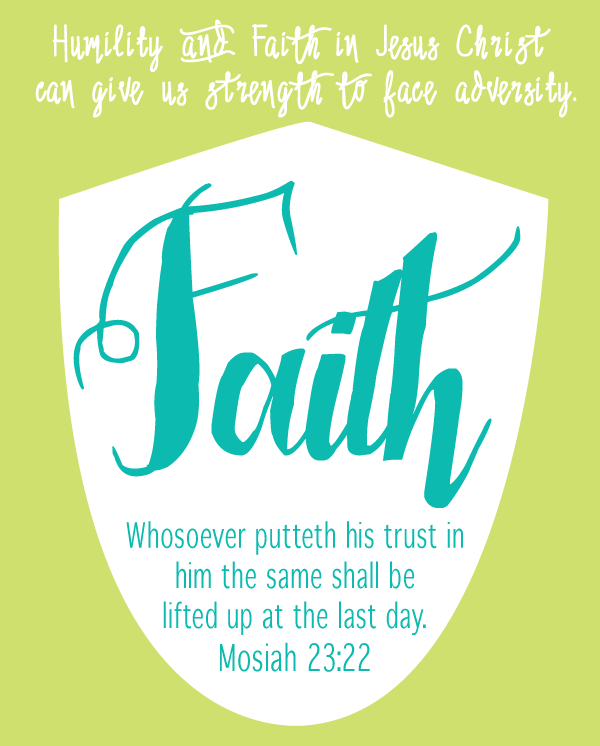 I used a scripture from the lesson- Mosiah 23:22 "Whosoever putteth his trust in him the same shall be lifted up at the last day."